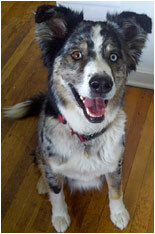 Meet Chauncey Billups, a two year old Australian Shepard mix. Chauncey and owner Rob can be found hanging out Downtown after a good run on the Coal Creek trail or bocce ball fetching session at the Caranci Pavillion. The LoCoYo is one of only 7 recipients in the state of the Dan B. Davidson Award for Excellence in Inclusion by the Colorado Developmental Disabilities Council. The award, is presented annually to those businesses, individuals or agencies that exemplify the practices of inclusion that support people with disabilities to become fully participating members of their community. Once again, the streets will be flooded with great music and great art. Enjoy the gallery receptions and artwork exhibits throughout the evening, on Main Street, Front Street and along the sidestreets. Go to louisvilleartsdistrict.com for artwalk map and featured artist information. Bring the lawn chairs and cold drinks and watch the speediest dogs show off their agility as they jump over and through all kinds of obstacles and play fun games. 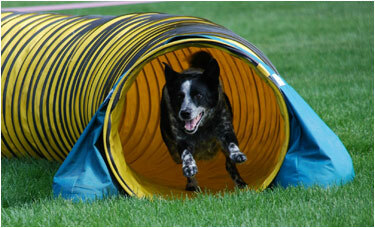 A variety of breeds will be displaying their prowess and physicality including the ever-so-fast Border Collie. Loads of family fun!! Bring your camera too. This powerful pop/rock revue musical by one of Americas hottest young composers, Tony award-winning Jason Robert Brown, has been stirring the theatre community since it first appeared off-Broadway. Brown is a composer who understands and respects the conventions of the genre while making it relevant and engaging to a new, younger audience. Songs for a New World is directed by Jeanie Balch, with music direction by Katie McClave. General Admission tickets are $14 for adults, $12 for students and seniors (plus a small ticket fee). Select Reserved Premium seating is available for $20. Visit Brown Paper Tickets to purchase tickets online and for show date/time show information. The Louisville Public Library hosts Discover Tech: Engineers Make A World Of Difference, another museum-quality exhibition from the Space Science Institute in Boulder. Hands-on, interactive modules let visitors build and understand arches and why they work, discover what robots can do, construct electrical circuits, use muscle energy to power a generator, and see pictures of engineers who live and work in Louisville and Superior. Its like visiting a museum, except its free and you can come back as often as you want! During August and in honor of the Discover Tech exhibit at the Library, Science Saturdays will feature programs for kids, from 1:00 – 2:00 pm, on August 11, 18, & 25. Three neighboring towns, Louisville, Lafayette, and Superior, have united again this summer to promote literacy and share in Building Community By Reading Together. 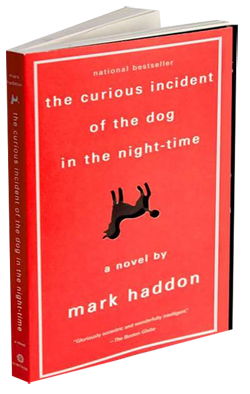 This years selection, The Curious Incident of the Dog in the Night-Time, is the story of an unlikely hero whose courage and way of seeing the world help us to understand life from a very different perspective. The Lafayette and Louisville libraries have numerous copies of the book, and there will be special programming starting in September including book discussions and presenters who will talk about topics related to the book. This walking tour has the theme of Legends of La Farge and will focus on the early families and small homes of the 800 and 900 blocks of La Farge Avenue. These blocks were part of the first residential subdivision (Jefferson Place) to have been developed in Louisville. Call the Museum to register at 303-665-9048 or email museum@louisvilleco.gov. This special fundraiser benefits WOW! Chidlren Museum 2012 Art Programs. Bid on unqiue art by a variety of local artists as well as two original Chinese Art prints donated by WOW! The Museum is located in Lafayette and offers weekly drop in programs as well as a variety of programs that enhance the artist in all children. More information at www.wowchildrensmuseum.org. The 8th Annual Grilling event, Colorado Eggfest, on the Big Green Egg, will feature over 20 Grillers, cooking everything from Paella to Mountain Mushrooms and beyond. Its a Grilling Dream right here in Louisville, attended by people from all over the Midwest. Highlights are music with a professional DJ, a Kids corner with games, balloons, and activities, Wine and Beer Sampling (11:00 am – 1:00 pm) by Down Under Liquors, and lots of discounted Eggs and accessories for sale!!! Early Bird Registration: $15/per person/ $20 per couple until August 3rd. $25 per person/$30 per couple until day of event. Contact: Barbara Barton, Barbara@mountainhighappliance.com 303-951-0524 or register online. Every third Saturday of the month the shop with offer open mic night hosting small bands, acoustic artists and poetry or spoken word performances. New at the Yo are BLINKS, frozen yogurt with a blend of alcohol drinks on Friday and Saturday nights until August 17. Ten percent of all sales supports Amiguitos, a local Louisville non-profit organization.